Lately I've really been getting into being more adventurous with makeup. I've been shunning my usual brown and neutral hues in favour of some gorgeous colours. Maybe it's the Springy warm weather but I'm loving colour at the moment, it really cheers me up. I've been playing around with the lovely new Lord & Berry Supreme Eye Pencils* and thought it was about time I shared them with you. I absolutely love the Lord & Berry liquid eyeliner and would go as far as saying that it's my favourite all time eyeliner. I've recommended it to so many people now as it's super easy to apply and it stays put. So I kinda had high expectations for their pencil offering, but I shouldn't have worried as these are super nice. I have three shades, Smart Green*, Smart Blue* and Smart Purple* and I've been getting lots of wear out of all of them. The colours themselves are gorgeous, slightly metallic and super pigmented. They glide on really well and don't drag the skin. This is down to having jojoba in the formulation so they are also kind to the delicate skin around your eyes. I love buttery eye pencils and these do not disappoint. My favourite has to be Smart Green as its really versatile. I've been using it either on it's own or sometimes paired with Burberry Pale Barley for a lovely light wash of colour. It's really gorgeous smudged into the bottom lashes too. At £12 each the Lord & Berry Supreme Eye Pencils are fairly pricey, but as they are so creamy and buttery, a quick swipe is all you need so I think they'll last a fair while. Once applied, they set pretty quickly so if you want to smudge them into your lashes you have to be pretty quick! They don't move around or irritate my eyes at all and I find they withstand a full day at work easily as they are also waterproof. Win. I think that colour is quite flattering against my hair, especially as I am pretty pale. I recently sorted my roots out and brightened up the colour and it's now super bright and coppery. So I think this colour love in might last a while yet. Neutrals, you should be worried. If you haven't tried anything from Lord & Berry you're really missing out. Everything I've tried so far I've loved. 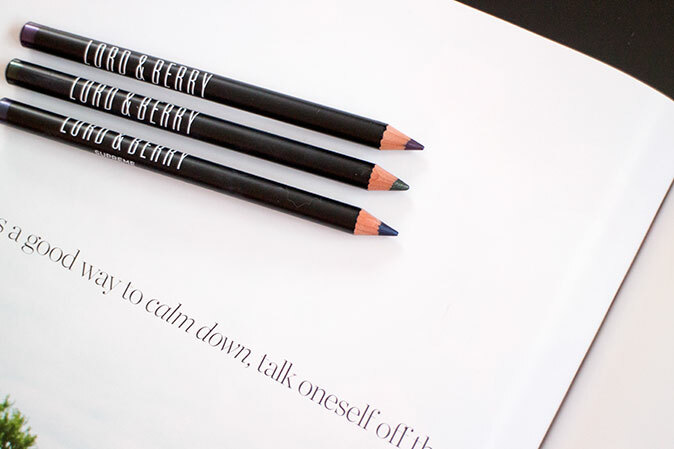 You can get your hands on the Lord & Berry Supreme Eye Pencils at Selfridges. Go, go, go! 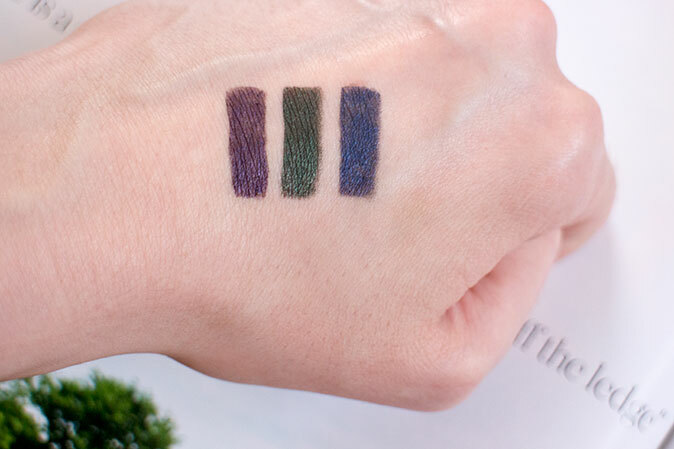 Do you wear coloured eye pencils and do you think you'll try these ones? The post The colour love-in continues - Lord & Berry Supreme Eye Pencils appeared first on Lelore.